It’s the year-end tax-savings rush, which means there’s a lot of advice floating around about how businesses can best take advantage of the Tax Cuts and Jobs Act signed into law last December. It famously cut the corporate tax rate to a mere 21%, along with some other goodies that got business owners excited. But as a CPA and tax attorney, this is a frustrating time for me. Why? Because new law or not, so much end-of-year tax planning advice seems conservative and reactionary. Business owners panic as the year closes and, in their haste, end up scrambling for quick savings instead of planning for long-term fixes. That means settling for low-hanging fruit, and I hate to see businesses making decisions just to get a write-off. The best tax decisions are made because they are good for the business, period. They require more planning and analysis, but also offer much more significant savings. These are hard decisions that can’t be made against an end-of-year deadline. For example, a lot of accountants are excited about the new, full, higher limit of first-year write-off depreciation on the purchase of new equipment, rather than the previous limits and normal deduction that happened over five to seven years. It’s a decent saving, and tax planners will probably tell business owners to go out and buy a new truck to take advantage. But was it really needed? Another newcomer is the pass-through deduction of up to 20% for “qualified business income” under Internal Revenue Service Code Section 199A. What this pass-through means for taxpayers is still being worked out. But it’s new and looks potentially helpful to those seeking last-minute savings, so there’s a rush to qualify. As attractive as these new features might seem, the law didn’t change everything. In fact, these newer benefits pale in comparison to what was previously available. The older provisions that survived unscathed could ultimately reduce your tax burden by multiples of what the more recent savings might offer, provided you plan for them. 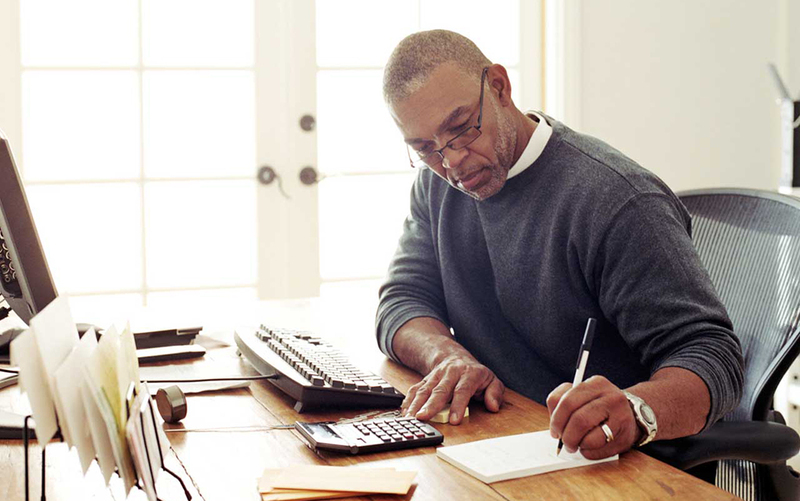 Here are a few ideas that, if done right, are good for both your taxes and your business. If you have risks inside of your business that aren’t insured, you can create a private insurance company to cover them. The paperwork isn’t your concern — that’s up to your adviser and whoever they hire to set up the company and buy into a larger pool of reinsurance. The only cost to you is an independent assessment of that risk and utilization of a valid risk-sharing model. In return, you can write off the insurance premiums as a business expense. Every company has different parts, like marketing and strategic planning. There are times when those parts are a significant portion of the business and generate income. If so, those functions can then be broken out into separate companies that can yield different tax advantages. Say you have an in-house marketing department that throws off cash. Create a new company with a fiscal year that ends nine months later and suddenly you’ve found a way to extend your use of working capital while also reducing your primary company’s tax burden. Choice of entity is more important than it’s ever been, both because of changes in the law and the corresponding changes in what benefits can be offered by each type of entity. Once you break out the different parts of your business into businesses themselves, then you get to choose what kind of entity they’ll become. Maybe that means an S Corp, for the tax-free fringe benefits it offers to your employees. (Though not to you, the company owner.) Or maybe it’s a C Corp, which gives you more flexibility in choosing your fiscal year end to better reflect your business cycle and control the timing and recognition of your income. Whatever your choice, don’t neglect the fact that you have a choice. I can’t tell you how to structure your business. But there are ways to allow for long-term planning and good tax strategy, too. Even though accountants have some new tax cuts to sell to their clients, business owners need to understand they’re still likely paying more than they need to in large part because of a failure to plan.